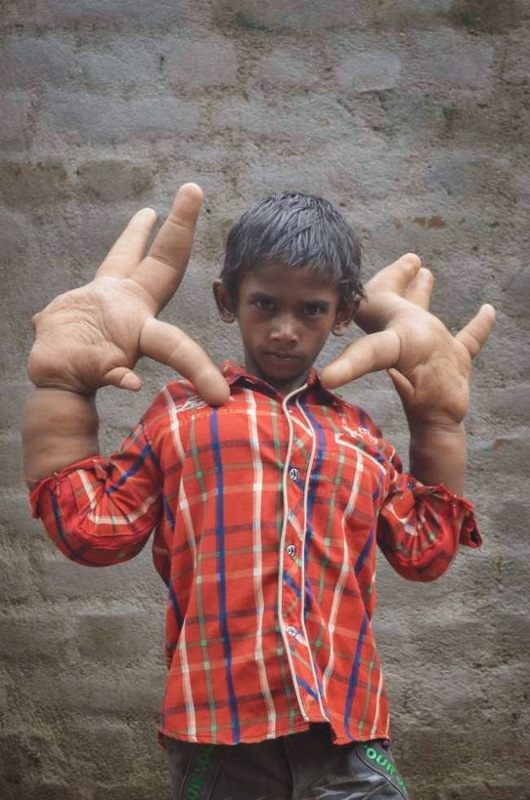 An 8-year-old boy from India named Kaleem has this rare condition where his hands grown larger than his head, 13 inches in length and 8 kilograms in weight. This has never been diagnosed due to family’s financial state. 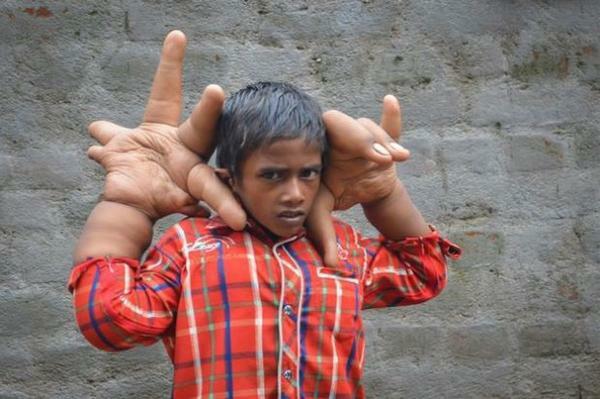 According to her mother, Kaleem was born with big hands and long fingers. She also added that his hands were twice the size of those of a normal baby. 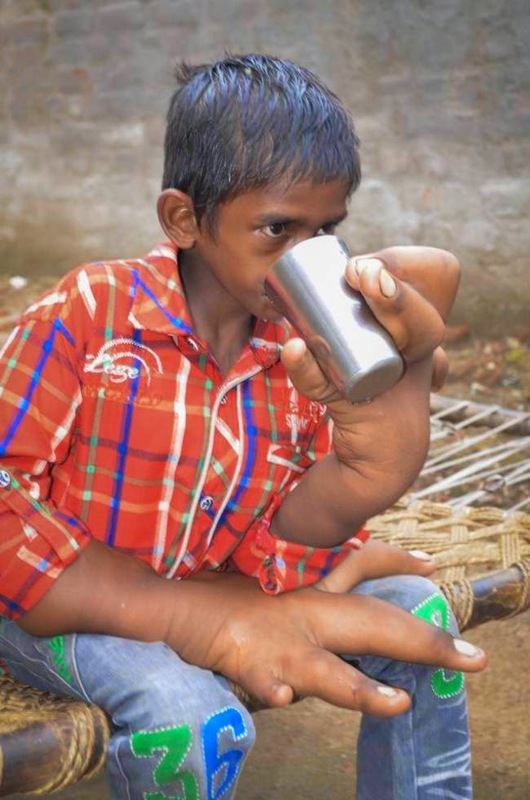 His father is barely making money to support his medical needs. He also said that his son has difficulty performing basic tasks such as eating as the fists can’t be bent. 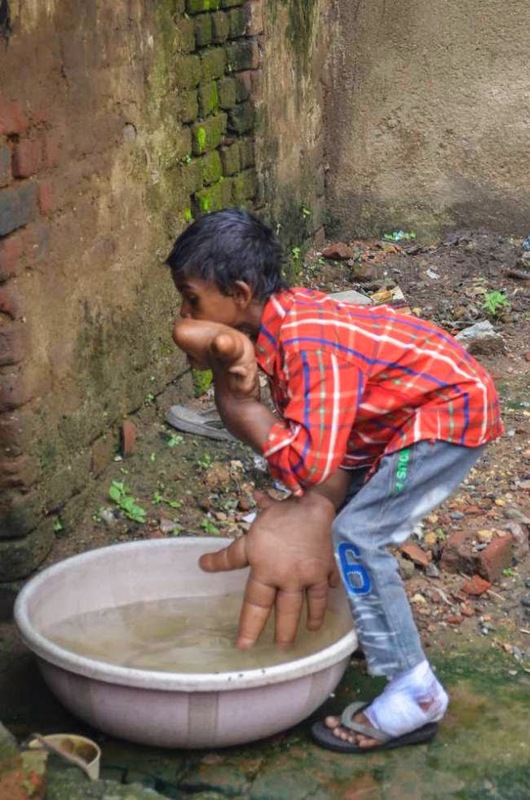 Though, Kaleem can use 2 of his fingers to grab things like a glass of water. Thankfully, Kaleem was taken to a local hospital to check his condition. The doctor said that this condition is difficult to diagnose. After the examination, Dr. Ratan delivered a tentative prognosis which is a rare case of acromegaly. This would require more tests before to decide in the course of treatment. If someone came forward and offered help, I would feel God himself had come down from heaven. I have tried several places but found no solution so far. Share the message. Let’s help Kaleem.